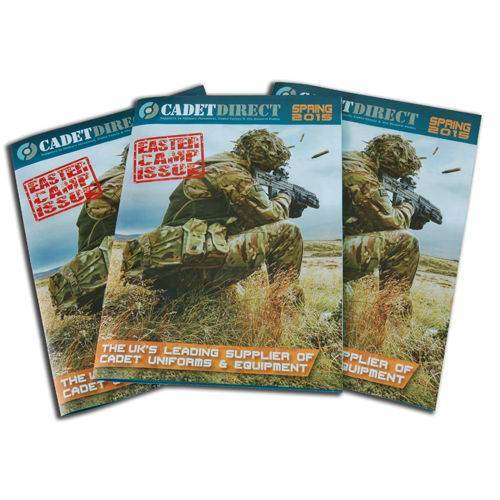 Home / The Cadet Direct Blog / New 2015 Easter Camp Issue Catalogue out now! New 2015 Easter Camp Issue Catalogue out now! Our new Spring 2015 Catalogue has just arrived! It’s packed with exciting new cadet products as well as all the classic items you’ve come to expect from us. This latest Easter Camp edition features lots of new ranges and our Osprey Assault Order Kit Layout. What’s more this catalogue is completely free. Order on our web site here. Next	True Utility Pocket Tools Have Arrived! Previous	CD001- British Assault Boot, Back in Stock!